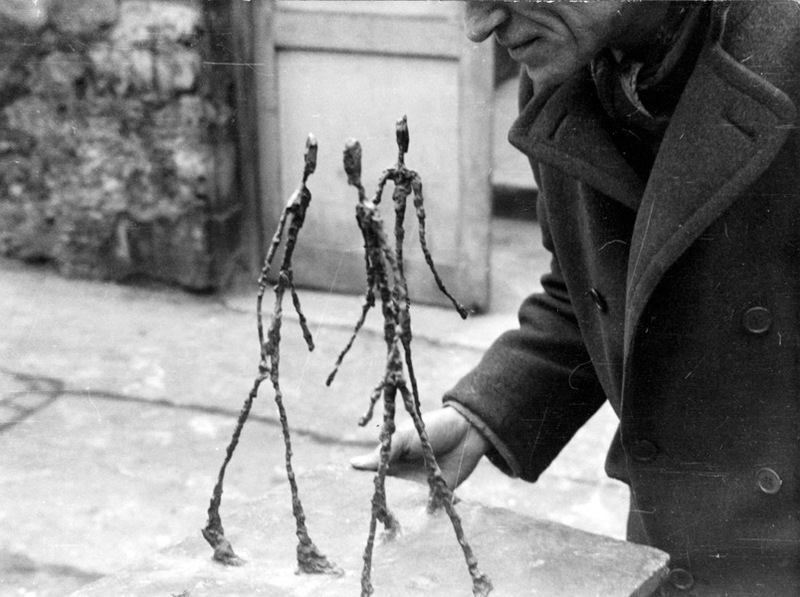 An opera in one act based on events in the life of Alberto Giacometti. The village of Stampa in the Bregaglia Valley of southeast Switzerland. The Piz Duan Inn on one side of the street and a rose-colored house with a hay barn and a stable on the other. It is autumn of 1904. 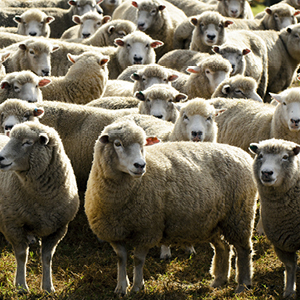 Slowly the street is filled with a flock of giant, milling sheep. A small boy, Diego Giacometti, age three, wanders out from the Inn to the road. Diego becomes lost among the sheep legs, he becomes terrified. He begins to scream and sob. His brother Alberto, age four, dashes to his rescue, lifting Diego from between the legs of the sheep. At the window of the Inn, their mother Annetta is laughing. September 1921. High in the mountains of Madonna di Campiglio, a post coach travels over a narrow, twisting road up the face of cliffs above precipitous gorges. 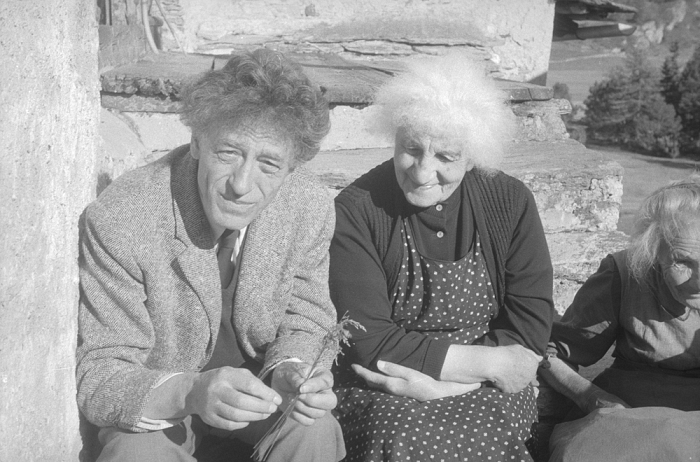 Inside the coach, Alberto Giacometti, age nineteen, and Peter van Meurs, a sixty-one year old Dutchman with pronounced pouches under his eyes and stooped shoulders. The post coach stops at the Grand Hotel des Alpes, a rambling structure built on the ruins of an ancient monastery. There is a forest in back and a field beside the hotel. 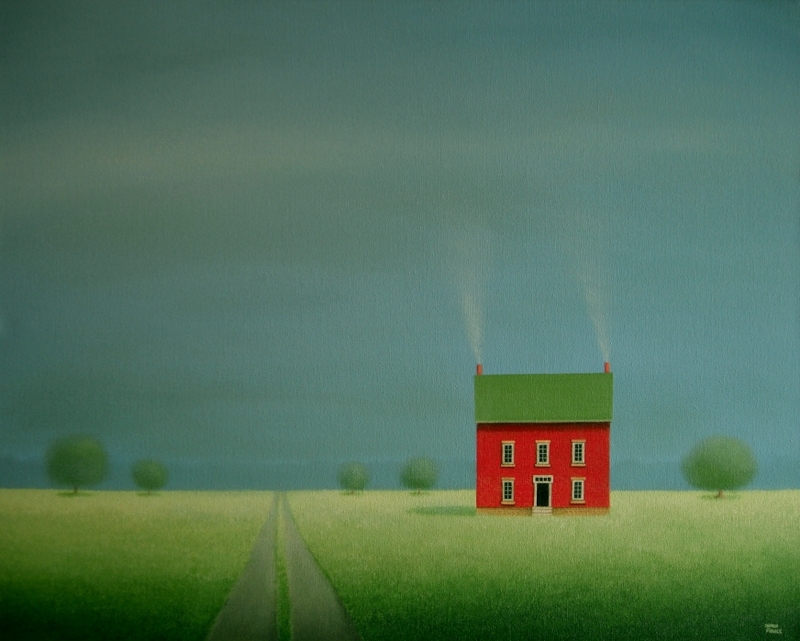 In a small room Alberto sleeps in a narrow bed, van Meurs in a large bed. Van Meurs wakes and begins to writhe from side to side. Heavy rain is falling outside the window which opens onto a wooden balcony. Alberto awakens and sits beside the sick man. He begins to read to him from his book – Flaubert’s Bouvard et Pecuchet, the introductory essay by Guy de Maupassant. Van Meurs’ cheeks have sunk and he is barely breathing through his gaping mouth. Alberto takes paper and pencil and begins to sketch the sick man. On a great sheet of paper Alberto draws the concave cheeks, the onion-shaped mouth, the fleshy nose. Alberto looks up and sees that van Meurs’ nose grows longer and narrower. Van Meurs closes his eyes and dies, the end of his nose stops droops. Daylight drains from the room. Alberto lights all the lamps, making the room brighter and brighter until white light fills the space. A policeman writes as Alberto explains: Van Meurs had put an advertisement in the Swiss-Italian newspaper for an art student whom he had met momentarily while traveling by train from Paestum to Naples. That student was he. He had replied and van Meurs had invited him to renew their acquaintance and proposed by letter that: “I enjoy traveling but as I am elderly and alone in the world I prefer not to travel in solitude. It would give me great pleasure if you would accompany me on a trip. I will pay all expenses.” Alberto explains that he consulted his brother Diego and decided to go. That was all he knew of this man with the long drooping nose now dead in the bed across the room. Venice. Evening. Alberto runs through narrow alleyways, along obscure odorous canals clutching a loaf of bread. He breaks off pieces of bread with his fingers as he runs and throws them into the stinking water, dashing in a panic into a tiny square. Stampa 1942. Diego Giacometti carries hefty sacks of plaster from a wagon parked in the road into the hay barn, which has been turned into Alberto’s studio. Surrounding the studio and also making a path to the house is a layer of ghostly footprints criss-crossing the plaster dust from the wagon to the studio to the house to the studio. As before, the rose-colored house stands beside it. Annetta Giacometti leans out of the second-story window smiling placidly. Inside the studio, Alberto, his face, hair, hands, clothes covered in plaster dust, sculpts a large figure. A human? An animal? A tree? A vegetable? It isn’t clear. Every surface of the studio is covered with dust and crumbs and flakes of plaster. He works intensely at the gigantic mass of plaster, and as he does, he chips off great and small and smaller chunks until only a minute plaster figurine, a human creature, the size of a matchbox, remains. Intently, Alberto carves crevices onto its face. 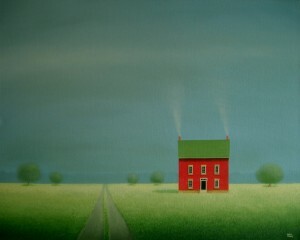 Alberto walks across the road through the plaster dust to the rose-colored house. When he walks he limps and uses a cane. Annetta rushes outside as he approaches and covers the entrance to the house with sheets of newspaper. The meeting between mother and son is joyful. He removes a matchbox from his pocket, opens it, and exposes tiny figurines that he has created. Annetta is distraught on seeing the work. “You don’t know how much they displease and trouble me.” she tells him. “Your father never did things like that.” Alberto sings to her of diminishment and how passion has reduced his work to the least common denominator of the visible. Sternly, his mother reminds him that he is forty years old. With sadness she tells him that he must know that people see him as a caricature of a half-mad but amiable and harmless genius, wandering about leaning on his cane, sloppy and dusty, with a few minuscule sculptures in his pocket. “Don’t you realize that I cannot stop them from turning you into a figure not only laughable but pathetic because the power of your intellect and the charm of your personality is spent to so little effort.” Alberto intently picks at the face, the mouth of one of the figurines as she sings. He tells her that he is powerless to alter the size of his creations. He intends them to be large but they shrink nonetheless. Annetta shrugs, draws a long breath and kisses him on both cheeks. She takes his arm, guides him around the newspapers, drawing him lovingly into the rose-colored house after her. Thanks Rick. I saw this as an opera. Wanna write the music for it?